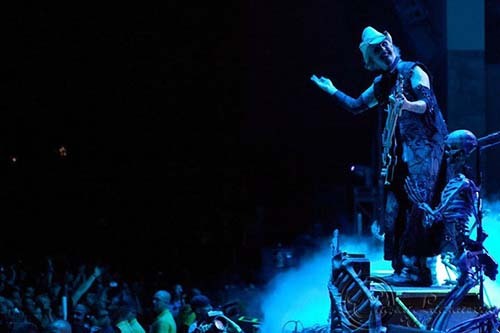 Legendary Metal Guitarist John 5 Explains How One Piece of Equipment Keeps His Sound Consistent at Every Venue | Furman Power | Purifying power for over 40 years. 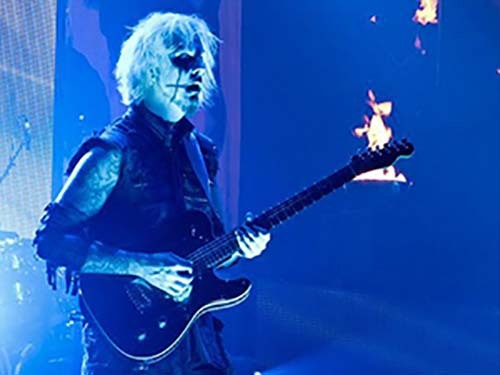 PETALUMA, CALIFORNIA – Over a 30-year career of playing with world-famous acts that include David Lee Roth, Rob Zombie and Marilyn Manson, guitarist John 5 has performed at more venues than he can count. Over the decades he’s developed a collection of his favorite instruments and equipment, and he says the one tool in his arsenal that helps ensure he has consistent sound across varying stages is the Furman® P-1800 AR Prestige Voltage Regulator. With nine total outlets, including three that are widely spaced for bulky plugs and one on the front for convenience, isolated banks that minimize inter-component noise contamination, a large, easy-to-see voltmeter and ammeter, a front USB outlet for a USB lamp, and LED indicators that warn when incoming voltage is outside the target range, the Furman P-1800 AR delivers the clean, reliable, protected power required for live performances.